It was announced earlier this week that 18 women who had been given a misdiagnosis have since died. 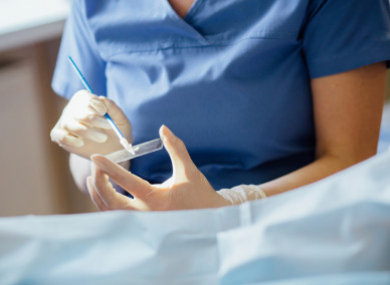 CLOSE TO ALL the women or their families identified as being directly negatively affected by the Cervical screening issue have been contacted by the HSE. An ongoing audit by the HSE into issues with the Cervical Check screening programme has identified 209 women where their smear test could have provided a different result. From an update today, the HSE states that 207 of the 209 women or their families have now been contacted. The CervicalCheck scandal came into the public eye last month when Vicky Phelan, whose cervical cancer is now terminal, settled a High Court action against the HSE and the US-based Clinical Pathology Laboratories (CPL) for €2.5 million over incorrect smear test results from 2011. The HSE Serious Incident Management Team said it was continuing the process of contacting women affected by the scandal in order to offer supports to them. It also said it was working with National Cancer Registry of Ireland and the Department of Health to identify any other women who had cervical cancer during this time, who may also have had a Cervical Check test. As well as this a total of 19,659 calls from concerned women have been answered from women with issues around their smear test. Email “Almost all of 209 women or their families affected by Cervical Check scandal contacted by the HSE”. Feedback on “Almost all of 209 women or their families affected by Cervical Check scandal contacted by the HSE”.